Wonderful Page 1. What Makes A Great Beginning To A Novel? 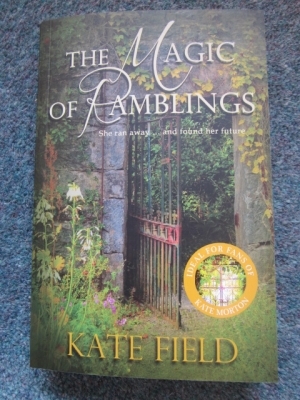 This week I read The Magic of Ramblings by Kate Field and while I was still on page 1, I knew I was going to love the book. I tweeted about this and received responses from other readers, naming their own "wonderful page 1" books. So what is it that makes a great first page? On page 1 of The Magic of Ramblings, Cassie finds a magazine advert for a "live-in companion... in isolated Lancashire village." I was thrown instantly into An Enchated April territory. An enticing advert about a place opens that book, too. Did my love of an old favourite spill over into my response to this new book? Undoubtedly. But that on its own wouldn't be enough to create that special first page feeling. So what else was there? Two things: an appealing heroine, and some intriguing questions. Who or what was she running from? Why had she had to leave her old life behind so completely that she can't even ask for references. And was the metion of Lancashire part of the magic? Probably. It's where I come from and it's a place I love. Not that a familiar or much-loved location is an essential requirement for that special page 1. 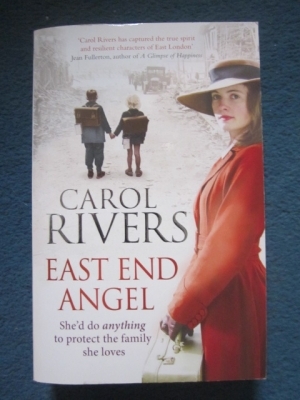 Take East End Angel by Carol Rivers, which is set in the East End. I have no ties to London, so the setting isn't what provides the page 1 guarantee of an unputdownable read. In East End Angel, it's all about drama. Not drama on a big scale with lots of action, but drama in a concentrated, personal form, the drama of dilemma and emotion. Page 1 sees Pearl at her wedding reception. Sounds like a happy occasion? It is... until her old flame turns up (and has she really got over him?) and guess what, his latest girlfriend is Pearl's younger sister, who has no intention of listening to big sister's dire warnings. Roll all this together and you've got a gift-wrapped guarantee of secrets, dilemmas and complex relationships, all wrapped in a convoluted plot. Page 1 magic! If East End Angel's page 1 appeal is plot-based, Miss Mapp's is pure character. 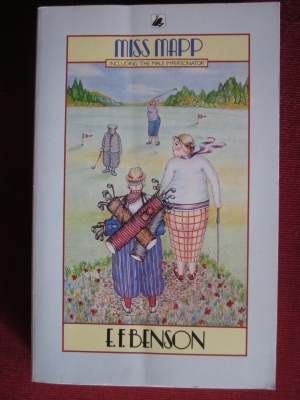 I read the Mapp and Lucia books in order, so I didn't meet Miss Mapp until book 3. I loved the first two books but without loving the characters. I was fond of Georgie, but while I found Lucia interesting, I didn't like her much. Then came Miss Mapp. On page 1, Elizabeth Mapp is introduced with words, "Anger and the gravest suspicions about everybody had kept her young and on the boil," and I adored her. After Lucia's condescending remoteness, Miss Mapp promised snobbery and scheming - in other words, full-blown comedy. Miss Mapp remains one of my favourite books. I regularly listen to Prunella Scales' spirited and characterful reading of it. And I have never forgiven EF Benson for allowing Luica to move into Miss Mapp's beautiful Mallards. So page 1 magic can spring from character, plot and/or question-hooks... and one more ingredient, which I am calling the immersive experience - the writer's ability to draw you completely into the world of the book. While many writers can achieve this over time in a novel, very few can do it right there on page 1. The Girl From Cobb Street by Merryn Allingham is an excellent example of this. Page 1 sees Daisy arriving in pre-War India and, such is the quality of Merryn's writing, the reader fully shares in Daisy's impressions, emotions and physical sensations. Writing in deep viewpoint is a great skill and Merryn has nailed it. Page 1 magic! Which books had you hooked from page 1? Do leave a comment and let me know. So many book recommendations, Susanna. Your blog post this week is an extra special treat for readers and writers. As for a book that had me hooked from the first page? One of my favourites, "The Blue Castle" by LM Montgomery. Plot, character, questions and world all in one. 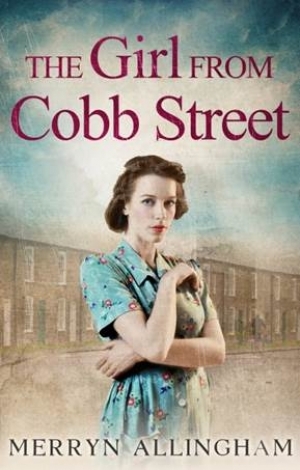 Thank you, Susanna, for including The Girl from Cobb Street - it's wonderful to be in such good company. Like Wendy, you've given me several more books to add to my reading list. Thank you for sharing your thoughts, Carol. It is always good to hear from you. I've told you before that I find it difficult to pick out a single one of your novels to be my favourite, but East End Angel is one of the ones battling for that position. I'm glad you've fund some books to tempt you, Wendy. I hope you enjoy them. I'm pleased to hear that you loved Merryn's first book about Daisy. The other two are just as good. Thank you Susanna for including East End Angel with great reads like The Girl from Cobb Street, The Magic of Ramblings and Miss Mapp. I think this comment says it all; "The reader fully shares in Daisy's impressions, emotions and physical sensations." Relating to the lead character from page 1 is crucial to the tryst between reader and writer's (world). Spot on insights once again! Thank you, Susanna - I now have some more books for my TBR pile (although I've already read Merryn's book and loved it). A first page is so important, isn't it. Thanks for dropping by, Kate. It was a pleasure to include Ramblings in this blog - in fact, it was the inspiration for it. Thanks for sharing your own "wonderful page 1." It sounds like a very powerful example.